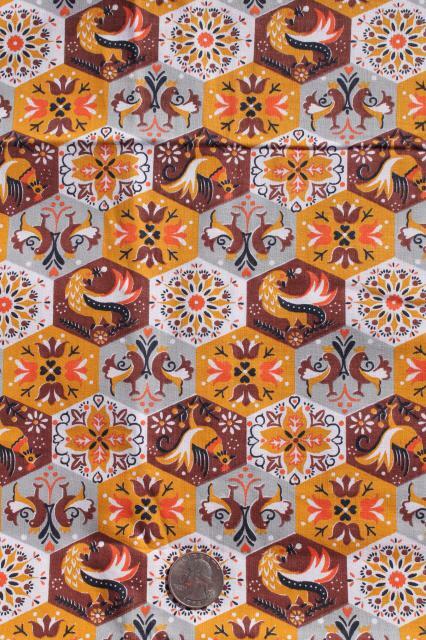 Country roosters hex print cotton, medium weight - nice for curtains, cloth napkins etc.. 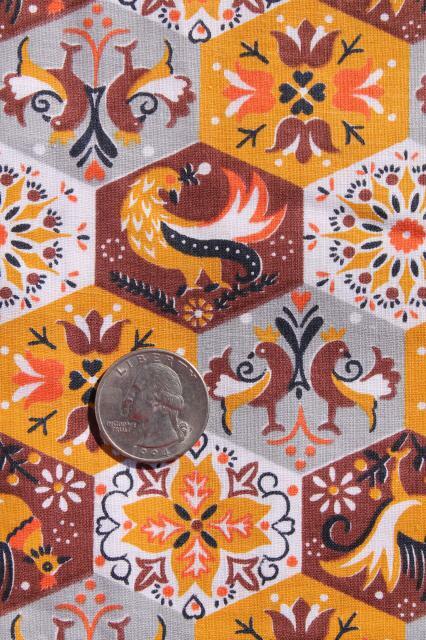 This is 40s or 50s vintage, 36" wide. 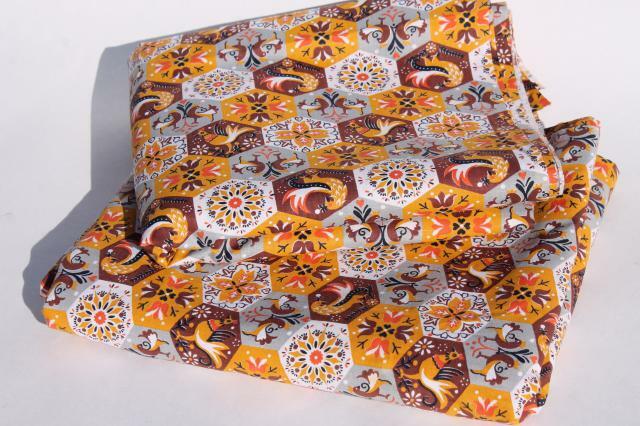 This lot is three pieces, all 36" wide. There's two 5 yard lengths and one 6 yard length, for a total of 16 yards in all.